Jing Xiao had her university training in China. She is a licensed Acupuncturist with the State Medical Board of Ohio, certificated by National Certification Commission for Acupuncture and Oriental Medicine, and a provider of OSU network. Besides university training, Jing also had a three year precious apprenticeship with famous Chinese Doctor Chen Chao Zu, as well as over ten years’ clinical experiences. Jing is concerned for, and care about the harmony of both a patients’ physical and mental health. She is dedicated to provide the most proper and effective acupuncture treatment for each individual patient. Her specialties are treating pain, allergies, stress related conditions, and gynecological conditions. 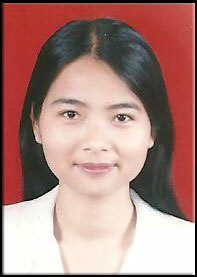 Xuguang GaoHe graduated from the famous Traditional Chinese Medicine University of China. He is a Registered Acupuncturist (R. Ac.) with the State Medical Board of Ohio and is certificated (Dipl. Ac.) by National Certification Commission for Acupuncture and Oriental Medicine (NCCAOM). Gao has started to practice acupuncture in Columbus Ohio Since since 2002. Xuguang Gao R. Ac. was born into a family of Traditional Chinese Medicine (TCM) aristocracy. His grandfather, Dr. Zhenen Gao, ran a very famous TCM clinic decades ago in northeast China. Xuguang Gao R. Ac. has been an industrious person since he was very young. He is devoted to TCM and reads a great deal of ancient TCM works and modern writings. Through his devotion and studies, he incorporates ancient TCM essence and modern research into his patients’ treatments. Xuguang Gao R. Ac. 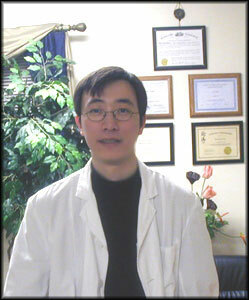 was a favorite student of one of the top ten Acupuncturists in China, Dr. Jiebin Yang. As of a result, Xuguang Gao R. Ac. is one of the youngest Acupuncturists in the United States to have the abundance of clinical experience he has. Xuguang Gao R. Ac. practiced in China and in East Africa for many years. He was the chief doctor at a famous medical center in East Africa. He won great fame during his practice at this prestige treating resort. Xuguang Gao R. Ac. specializes in rotating needling, finger needling, metal pressing needling, Box moxa, “Tai Yi” moxa, and “Long Snake” moxa. His expertise comes from secret family treating methods that have been handed down through the generations.